A thorny issue: what did the sticks look like? What did a real fighting shillelagh look like? As you might remember in my last article I promised that I would soon publish another source that might be on Irish Stick fighting. Unfortunately that article is still not quite ready so I though that while you waited I would talk on a related subject : what did the faction fighters really use? An authentic cudgel. Watch the video below to learn more. Its a difficult question to answer as shillelaghs were produced for a variety of purposes even in the 19th century. 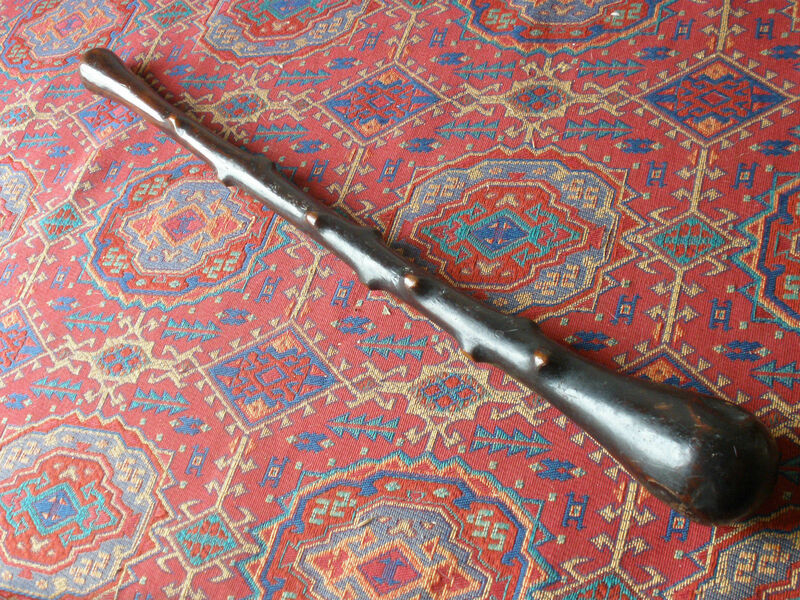 Many tourists brought home walking sticks from Ireland (sometimes made in the US) and plenty of people wanted to have shillelagh like canes even though they were not intended as weapons. I believe this is were most of the shillelaghs equipped with long thorns fall in. We have next to zero images of faction fighters using sticks with thorns on and very few sources mentioning them. Thorns would not have been very practical when using the stick in the typical Irish fashion and would have probably broken off in the first few exchanges. It is much more likely that they were left on the walking sticks as an exercise in style more than anything else, although exceptions may exist. The presence of lead is of course a good indicator of use. The Irish were known to make “loaded” sticks by burning a hole in the knob of their stick to pour in lead or simply cover some of the knob asperities with it. One point in common wit most fighting sticks is that they are quite small, or at least smaller than we would expect them to be as the example in this video will attest. ← What is Irish stick fighting?